You know that person that shows up to everyone’s parties, monopolizes the conversations, hogs the karaoke mic, drinks all the liquor, eats all the food, but never reciprocates? Well, I’m not that person (okay, I might hog the karaoke mic)! But, I have so much fun participating in everyone’s else blogging events, I began feeling like that person. 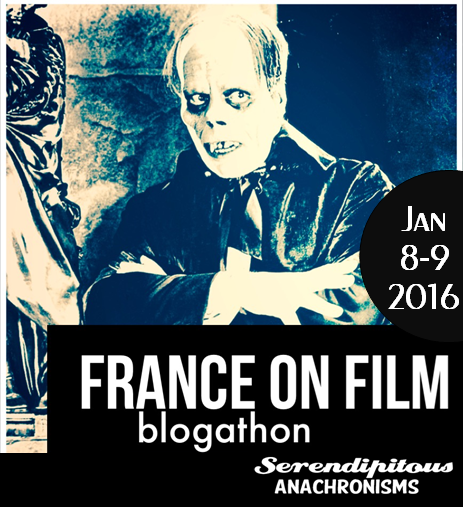 So, I will host my very first blogathon! Call for Posts, while this is a movie themed Blogathon, the event is open to all bloggers! 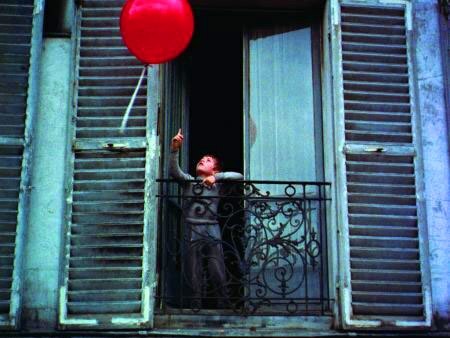 France has an indelible mark on 20th-century cinema, from the pioneering Lumière Brothers to contemporary filmmaker Jean-Pierre Jeunet’s graphic aesthetic, and everything in-between, I cannot imagine cinema without France’s contribution. And complaints about the wine! 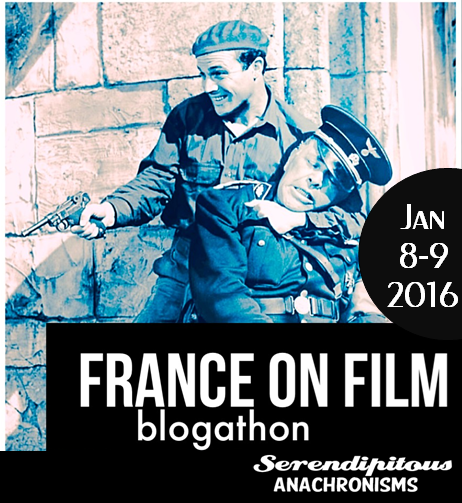 Please join me for a two-day blogging event, and help pay tribute to France on Film! Day One: French Cinema, French films for French audiences, the films do not have to take place in France. Day Two: France as Subject, Films from any country, may take place in France or have French characters or French actors, French source material, or France is significant. The event is strictly for new material only, please do not send links to previously published posts. 1999 is our cut-off year** If you have something you want to add past this year, let me know. Make sure no one has your topic, check the roster as this is a no duplicates event. Can I submit more than one entry? Sure thing, but don’t commit to more work than you can accomplish. Since there are no duplicates, don’t request the complete works of Jean Cocteau if you can only cover one film. Do I have to post on both days? No, of course not, but you are more than welcome to participate on both days. 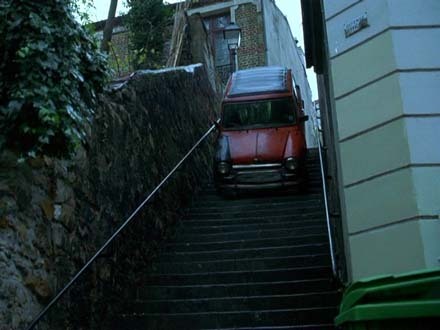 If you didn’t see the opening credits, and you could not hear the dialogue, would you know this film is French? Does the film communicate “Frenchness” by other means? How necessary is France to the plot? Does this film work if the French signifier were from any other culture? To submit your post, as soon as you publish your post, send me the URL. Other details, a recap of each day’s submissions will be blogged during the event, please get your posts to me by 10 pm Pacific Standard Time to make sure your post is listed in the recap. 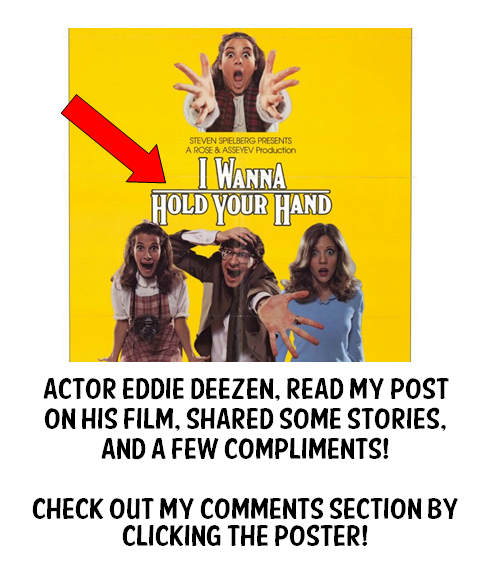 Grab a Banner (below) add it to your blog and tell your friends! “Mistinguett” on Film– Silents, Please! Hello. I vowed not to join any blogathons in 2016 and here I am. If possible – under the second category – I’d like to do something on Stanley Donen’s CHARADE (1963) filmed on location in Paris. Not sure if this will fit the bill, but certainly no problem if it doesn’t. Hi Aurora, great choice, I love that movie! I love a challenge! Put me down for category 1. 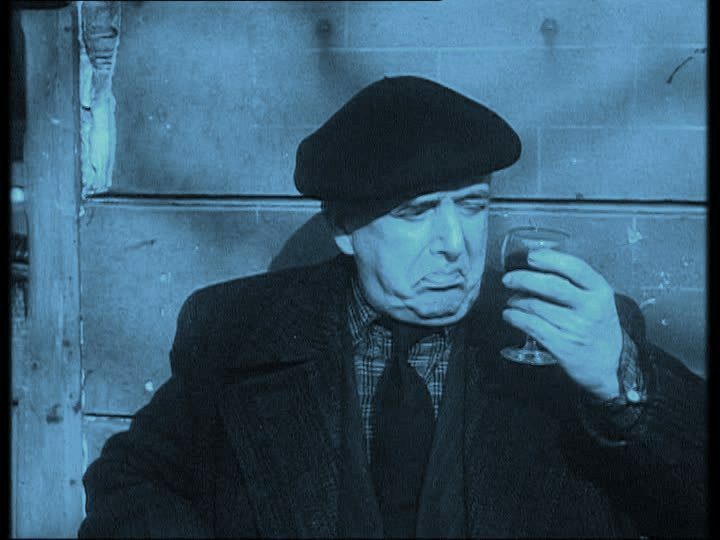 The film is Touchez Pas Au Grisbi (Hands Off the Loot), a 1954 French film noir. I’ll perhaps compare it to American film noir re both French setting and French cinema traditions. Also stars French star Jean Gabin, who’d played in American noir film Moontide. Oh, this sounds great! Looking forward to reading it! Hi! Please put me down for Elevator to the Gallows. Great choice! I can’t wait to read it! I am all over this one, but will take a moment to choose my film. Thanks for hosting such an intriguing Blogathon! Alright .. I’m ready …… drumroll. This will probably be more of a personal post for me, but I look forward to it. Hey, Aaron- That is an excellent choice. I adore that movie! Glad you are joining in the fun! Can’t wait! Thanks for hosting it! Hello TJ, that is a great selection, I look forward to reading your post. As for the event, yes, just make sure you send me the link once your post is live! Could I chance my film? I would like to do “Madame Curie” ( 1943 ) instead of “Orphans Of The Storm”. So take Orphans off and put me down for “Madame Curie”. Thanks. Hi Crystal, No prob! I’ll update your listing when I get home tonight. Great. Thanks Summer. I just thought that I rather do “Madame Curie”. First of all, FAB idea!! What a terrific idea for a blogathon. Secondly, your banners are gorgeous. I might print and hang them on the wall. Thirdly, may I have “DuBarry was a Lady”? I just bought a Lucille Ball box set, and this movie is included. Fourthly, looking forward to this! Oh yes, of course, you may that’s a great film, I am certain it will be a fun read! Regarding the banners, I was having way too much fun making them ;)! Thanks again and welcome aboard! Can I do “A Monster in Paris” on the 8th and “Midnight in Paris” on the 9th, at my blog Voyages Extraordinaires? I just hope I can have something worthwhile to say about them! Yes, I love Midnight in Paris, both films will be fun additions. Looking forward to both your posts! Ciao! 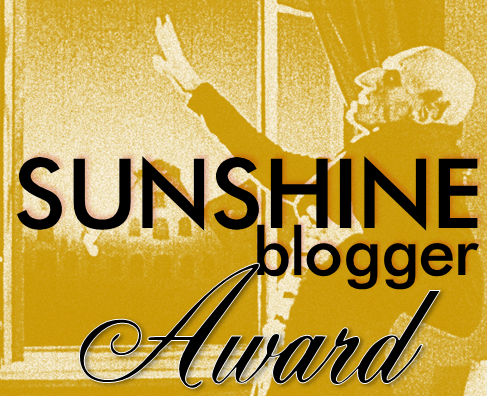 PS Love your Steampunk blog banner! How about Paths of Glory for the second day? That is an excellent choice, I LOVE Stanley Kubrick and Kirk Douglas, Yay! Welcome aboard! Cool! Glad to do it. I really dig these blogathons, too. Mais Oui! Might I add a very intriguing choice, I look forward to reading about it! Welcome aboard! Great idea! It’s so hard to pick, but could I have Forbidden Games (Jeux interdits) for the first day? Thank you! Oh, yes! Thanks so much for signing up, I think this event is going to be a lot of fun. Jeux Interdits is an excellent choice, I really look forward to reading your take on the film! 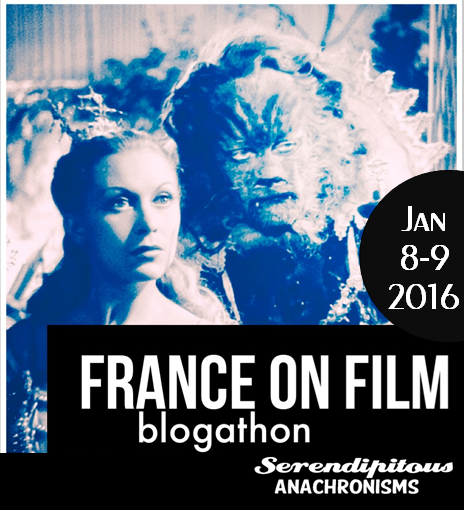 What a wonderful idea for a Blogathon! Under the first category, I would like to do Intouchables. It is a 2011 film, so past your set date, but I loved this film. If that is simply too recent, I’d also be interested in District B13 (2004). As I understand it, I can do more than one, and I’d be happy to sign up for both of them. I’m confident I can do them both quite soon. Speaking of deadlines, I intend to actually watch and write this coming week if my movie titles are approved. Do I just hold them until January? Do want me to send you an advance copy? I’m quite new at all of this, but I’ve been looking for an event for some time, and this is The One. Now down to specifics, you may publish your posts, when they are ready, but the official event won’t be ’til January, so my event pages won’t be published ’til then. Paste the URLs in the comment section for each separate post when you do publish so I can add them to the final roster. I am truly happy my event is “the one” we have an amazing film selection and great participants! Please feel free to contact me if you have additional questions, I hope I answered everything! Thanks again for signing up and welcome aboard! Summer, Thank you so much! I’m so excited about this! I think I’ve got it now! I’m looking forward to re-watching one of my favorite films and taking some notes!! Excellent, I cannot wait to read your posts! I am really happy you are joining in, these blogathons are a blast! Holy cow, this is exciting! 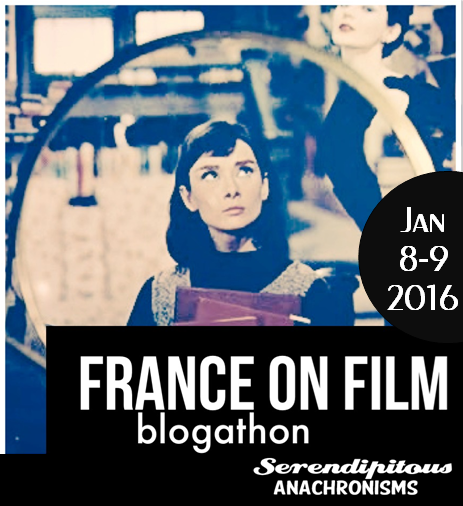 I’m a huge Francophile — this blogathon was practically made for me! I’ll take Funny Face and Silk Stockings, if they’re not taken. This should be fun! Michaela, they are both yours! Thanks for joining in the fun! I am looking forward to your posts! Love this blogathon Summer – why is January so far away?! HA! 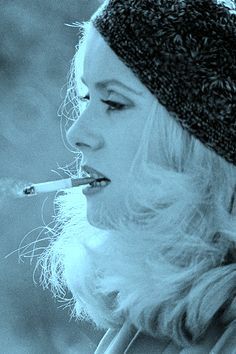 Please could I take Belle de Jour? January seems far, but I didn’t want to clash with any other ‘thons and then I figured everyone would be too distracted during the holidays. Thanks for joining, Vicki! Look forward to your insight on this film. Nice idea! Can I have Code Inconnu from director Michael Haneke? Michaël Parent of Le Mot du CinephiliaqueThank you! Hi, Michaël, Yes! Code Inconnu sounds quite interesting, looking forward to hearing more about it. 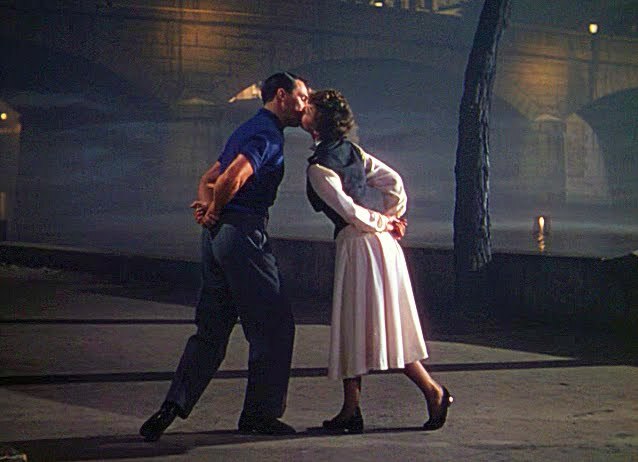 Oooh, may I claim (the entirely inauthentique) An American in Paris? Thank you! I love that you’re doing Simone! 🙂 Merci bluhbloo! Oh, yes! I was hoping someone would claim that title, J’adore Gene Kelly! I will add you to the official roster! Welcome aboard! I’d like to join! I would like to write about Louis Malle’s The Fire Within please. My blog is Defiant Success (http://movienut14.blogspot.com). Hi Anna, Excellent choice! So glad to have Louis Malle’s The Fire Within on board! Thanks for signing up, this event is going to be fabulous! Hi, Crystal, thanks for the invite, I love Barbara Stanwyck! You can always reach me on Twitter @kitschmeonce or kitschmeonce at gmail dot com. Is it too late? If so, I would love to write about Gigi. My blog is A Person in the Dark (http://flickchick1953.blogspot.com/). Sacre Coeur! I’ve finally made up my mind: Lubitsch’s The Merry Widow (1934)! Oh, I LOVE Lubitsch! Excellent Choice, ma cherie! I’ve finished my review of Intouchables, but I think I may hold it until closer to your event. I have a link to your site; is that all you need to catch it? (Do you want to preview it? It’s somewhere between a true review and an analysis. I can go more to the true review end if you’d like. I don’t mind at all!) District B13 is headed straight review. Okay, you officially get a gold fleur de lis! I don’t want to dictate your style, I think the fun in reading these events is seeing what everyone brings to the table on a similar topic. 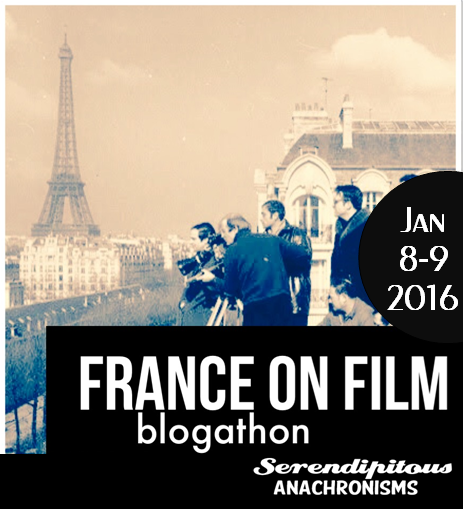 There is a wide variety of formats and perspectives in a blogathon! From your other posts, I can tell you’ve got great style, I totally trust you. Thank you so much! If you’re not looking for anything in particular, it’s probably ok, but I haven’t done a film review per se, so I would appreciate the extra set of peepers! PS. love the email addy! 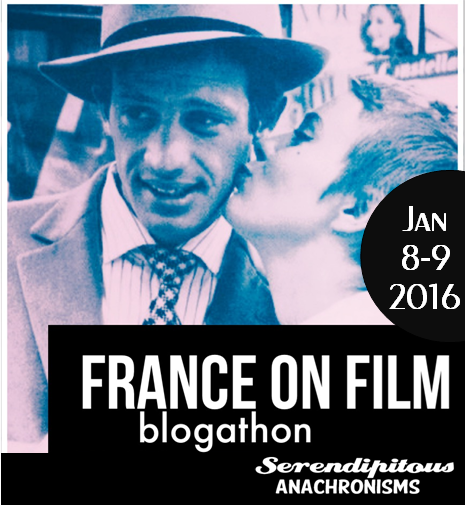 I love the idea of this blogathon! Surprised to see that nobody’s signed up to write about a Truffaut film yet. With that said, I’d love to write about Jules and Jim. I signed up to do La Boum because I’m a teen movie specialist, but my foreign film guest reviewer wants to do an Eric Rohmer film. Can we do both or do we have to leg wrestle for it? I meant me and my guest reviewer would have to leg wrestle for it. Ha-ha! You guys will compete with spears and nets and the winner gets the “thumbs up”! Seriously, if you guys are okay covering the same film, it’s okay, just make sure you guys each take a different angle :). Give me your guest blogger’s name info and I’ll add him to the roster. No, not the same film. I’ll do La Boum, and he’ll do another film. He hasn’t decided yet, but I’ll let you know as soon as he does. Oh! I thought he two of you were jockeying for position to do the same film. Hi there, I would love to write about The 400 Blows for my website Old Hollywood Films, http://www.oldhollywoodfilms.com. C’est magnifique! I will officially add you to the roster when I get back into town! Looking forward to your take. 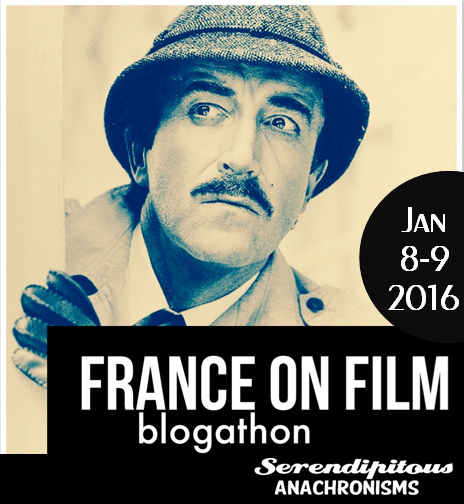 What a great topic for a blogathon! Could you put us down for two choices: The Pink Panther ( 1963 ) and How to Steal a Million ( 1966 )? Although I would love to cover Les Girls I don’t think I’d have the energy to write on three different films! Yes! I will add you to the roster when I get back into town! Excellent choices, I just saw the original Pink Panther the other night j’adore Clouseau! So glad he will get some representation! Welcome aboard and looking forward to your posts! 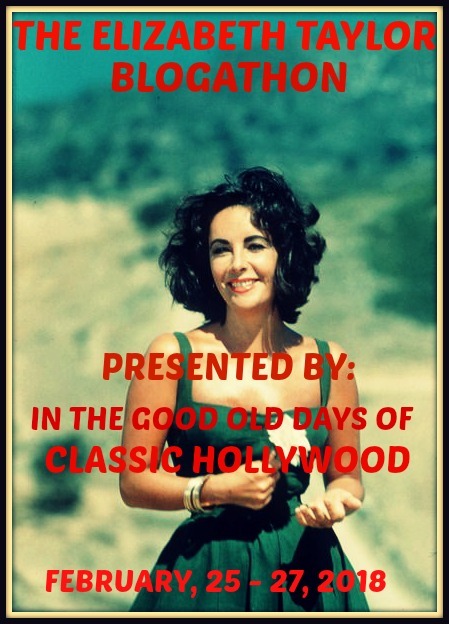 What a great topic for a blogathon! Could you put us down for two choices : The Pink Panther ( 1963 ) and How to Steal a Million ( 1966 )? Thanks! Hello. I remember writing a reply musing on a couple of choices, but I wasn’t sure i\either would be accepted. I see now I am listed on the blog lists for both of my musings. I’ll go ahead and play both days, but I guess if I am on the list you should have the website. Excellent, if you prefer to do only one just let me know. I put you down as a placeholder (till I heard form you) since it is a no-dupes event. I want to go for a less obvious Georges Melies choice than “A Trip to the Moon.” I like a charming short of his titled “The Untamable Whiskers.” May I? Mais Oui! Excellent pick, looking forward to your wonderful insight! Any chance this blogathon is still open for entry? I would LOVE to gab about Last Year at Marienbad. Hi, Dave. Yes, I am still open for participants and I am happy you caught my not so subtle subliminal message in the event announcement, I am really looking for to your post on Last Year in Marienbad! Bienvenue a #FranceonFilm, à Bientôt! I’ll stick with “Beauty” and let you know if I end up switching. Thanks so much! Yay, I was hoping someone would tackle Cocteau’s Belle et Bete. Excellent choice, sir. Bienvenue a #FranceonFilm! Thank goodness someone grabbed it! It was on my secret wishlist! Excellent choice, Bienvenue a #FranceonFilm! Hi, Lea. Sorry to respond so late (holiday!) glad to have you along, I will officially add you to the roster this morning! Bienvenue a #FranceonFilm! Hello, just saw a link on twitter. Hi, Andrew! Very good choice, Bienvenue a #FranceOnFilm! 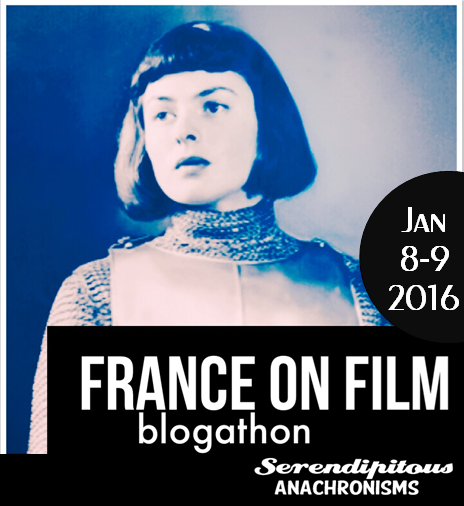 Just found your blog and I think a Blogathon all about France on Film is a great idea. I’d love to contribute, but the film I’d most like to cover (for part 1) is Le Pacte des loups (Brotherhood of the Wolf) from 2001, which is past your cutoff. I see a few others have chosen more recent movies, but it’s of course up to you! Hey Josh, first of all love the blog title, I salute the black flag as well. Regarding your picks, no worries on the date! I have not seen Le Pacte des loups but I am looking forward to reading your coverage! Did you want to do Ratatouille (which I adore) too? I will put you down for both since it’s a no dupes event. Bienvenue a #FranceOnFilm and à bientôt! Thanks! (The blog title was actually my college nickname.) I’d be happy to do both Le Pacte des loups and Ratatouille, though if someone else comes along and would rather do Ratatouille they’re welcome to it. And if for some reason I don’t think I can get both done I’ll let you know! Looking forward to it! Could I do Scaramouche (1923) on the second day? My blog is named Welcome to My Magick Theatre (http://carrieannebrownian.wordpress.com/), and I blog under the name Carrie-Anne. Hi, Carrie-Anne! Scaramouche is my absolute favorite Commedia dell’Arte character, looking forward to your coverage of that wonderful swashbuckling clown. Hi Summer. I know I will be away back home visiting family at the time, but could I do a second post? I will have my laptop with me and would likely get bored at nights, so I would like to do a second entry. If it is alright could I also do “The Beloved Rogue” ( 1927 )? You got it, my dear. I love enthusiasm for #FranceOnFilm. Enjoy your trip and if we don’t chat before then, happy holidays! Thanks Summer. I love writing. Have a great Christmas. Hi Summer. I wasn’t able to post anything for the blogathon as promised. I’m away and still staying with my cousin who is married in to the family. She’s only got one lung, bad hips, and bad back and needs caring for and nursing. When I committed to the blogathon I didn’t realise that her mobility has decreased more than 2014 when I stayed with her and now that I’m here I’ve been constantly caring for her. I wanted to let you know, and I feel bad for being a no show, but I promise that next time around I will make up for it. Oh my goodness, no worries, family always comes first! I figured you were busy since you said you going to be out of town in advance. I am only sorry I did not get this message and respond sooner! Please know you are your cousin are in my thoughts and prayers, I am sending positive energy your way! I know I am geographically far but if I can help you in any way please let me know, Take care! hey summer. sorry for the late request. can I review Forget Paris (1995) and French Kiss (1995)? hey, Rob you are not too late, those are two of my favorite romantic comedies, I am so glad you picked them. I cannot wait to read both posts! Thanks for joining, this event is turning out to be quite spectacular! Bienvenue a #FranceOnFilm! Excellent to hear! Keep up the great work! Can I do Le Grand Bleu please as a day 2 topic? Will send the blog name and URL as soon as I have decided. oh gosh…having one of those days. I read the cut-off as being after 1999. So, yes, Le Grand Bleu please…it is pre-1999. Sorry to mess you around. No worries on the date! I am approving post 99 films for people as well. I will officially add you to the roster when i get home tonight. Bienvenue a #FranceOnFilm!